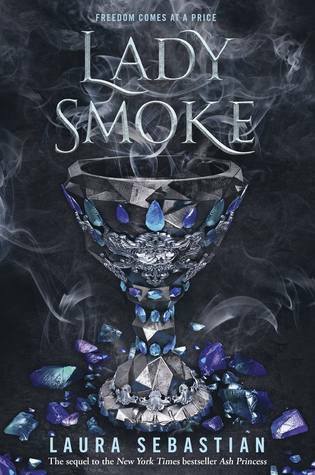 Lady Smoke was a delightful continuation of the story which commenced in Ash Princess. Once again the world and characters captivated me, and it was hard to put down the book and go to sleep each night. There was still plenty of action, and new faces appeared alongside characters from book one. Sometimes second books lack the intensity of the first and third instalments, but here there was still lots of drama and new ideas. The only thing that spoilt this for me (as with book one) was the unnecessary love triangle. The potential enemies-to-lovers romance between Theo and Soren works wonderfully. However, that with Blaise is simply an annoying trope and adds nothing to the plot. The story would work just as well were their actions based solely on a friendship-inspired love, rather than a romantic one, and I would not need to roll my eyes at the YA fantasy love-triangle cliché. But this is my only gripe in an otherwise gripping and enthralling series. Therefore, I am giving this book 4.5 stars.